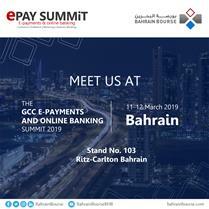 Bahrain Bourse will participate as Co-Partner in the 2nd E-Payments and Online Banking Summit to be held in the Kingdom of Bahrain on 11–12 March 2019 in Ritz-Carlton Bahrain under the patronage of the Central Bank of Bahrain and Chairmanship of Mr. Abdulkarim Bucheery, Chairman of the Bahrain Bourse. 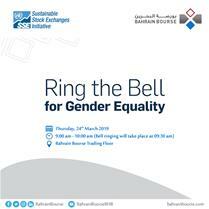 In line with Bahrain Bourse’s commitment towards the United Nations Sustainable Stock Exchanges (SSE) initiative, and in conjunction with the International Women's Day, Bahrain Bourse organizes “Ring the Bell for Gender Equality” event, to raise growing importance of gender equality across the capital markets on Thursday, 14th March 2019 from 09:00 am - 10:00 am, (Bell ringing will take place at 09:30 am). Join us for the fifth edition of C5’s POLICY HACK with Sheikh Khalifa Bin Ebrahim AlKhalifa, Chief Executive Officer of Bahrain Bourse on Tuesday 26 March from 6:00pm to 8:00pm at the Cloud10 Campus. 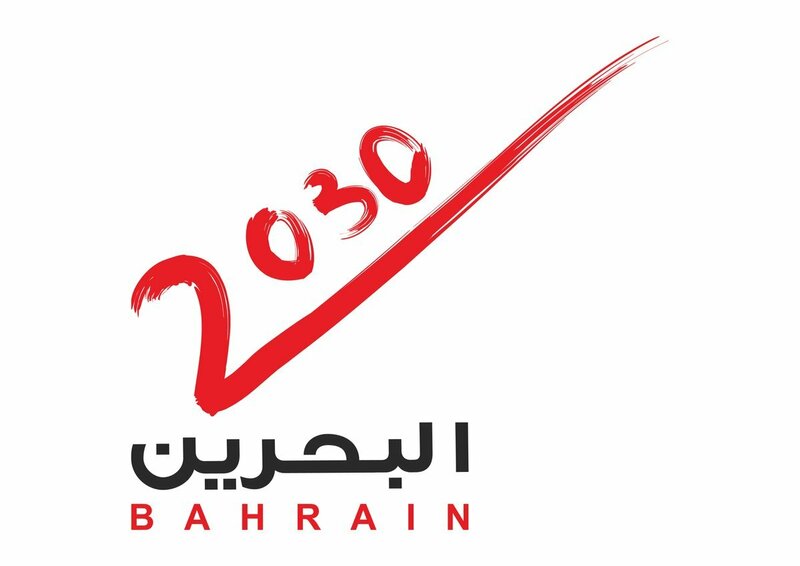 The fireside chat will discuss the Bahrain Investment Market and the Bourse projects and efforts to attract entrepreneurs and support the startups economy to help startups scale. 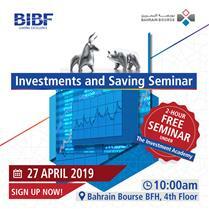 Bahrain Bourse and BIBF will be jointly organizing on Saturday, 23rd February 2019 the “Investment and Saving Seminar”, as part of a public awareness campaign that aims at spreading investment awareness among citizens in the Kingdom of Bahrain. Bahrain Bourse and BIBF will be jointly organizing on Saturday, 26th January 2019 the “Investment and Saving Seminar”, as part of a public awareness campaign that aims at spreading investment awareness among citizens in the Kingdom of Bahrain.